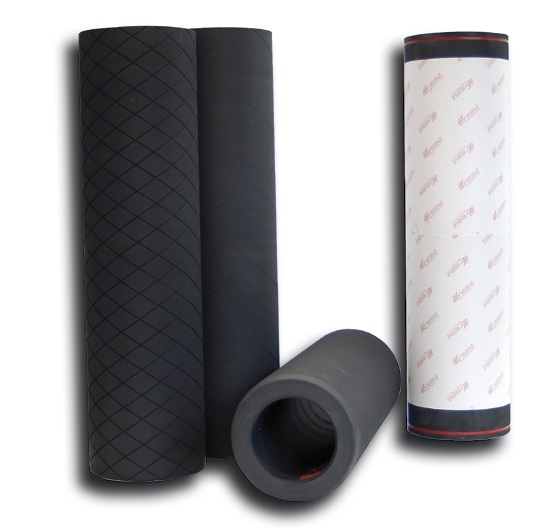 After employing experienced rubber technologists in the early 90’s and carrying out a development program, LUC started production and sales of elastic sleeves in 1994. From that moment on these sleeves were supplied with increasing success and continuous growth to many customers (an up to date reference list is available upon request). Time saving and quality improvement are the two basic reasons for the industry to use the elastic sleeves of LUC. It is hard to imagine modern day strip processing without any of these sleeves being employed. Each sleeve is tailor made for a specific application and mandrel, and the LUC engineers calculate the exact dimensions required. In this way the sleeve is optimized and can be fitted to and taken off the mandrel quickly and without any problems. 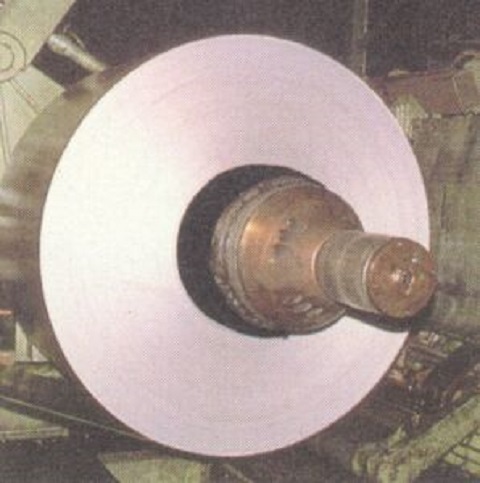 Protection of the inner windings of the coil against marks occurring from the steel jaws. The strip ends will be pressed into the soft surface of the sleeves, thus minimizing the possibility that the edges of the strip will produce marks on the further windings of the strip. In this way a considerable reduction of waste can be achieved. A rapid change of inner coil diameters is possible, with sleeves working as an adapter. This works quickly and can save a significant amount of money. Nowadays sleeves are considered a key element in the design and installation of new equipment, making the application of the protective sleeves possible for any required inner coil diameter. Variation of hardness, for better pressing into the strip or better wear properties. Variation of the surface (ground, wrinkled, grooved), for example for better flow out of oil. Slotted sleeves or Sandwich sleeves, in order to reduce the required spreading force. Various kinds of protection, in order to avoid continued tearing when cuts occur. Permanent high quality and high dimensional accuracy are guaranteed by a well-controlled production process. For each sleeve a manufacturing certificate is issued and upon request this can be sent to the customer. LUC’s specialists are there to give the customer advice when problems arise and to assist in choosing the right sleeve for each specific application. To support the customer when submitting a new inquiry, a special questionnaire is available. Based on the information submitted by the customer the sleeve can be designed and made to size. For mounting and usage of the sleeves technical information sheets are available. Based on close contact to the customers, the knowledge of their problems and own experience, LUC is always able to look at possible improvements of the sleeves. LUC’s commitment is to offer the customer a long-life product which meets with the continuously increasing quality requirements in strip processing.